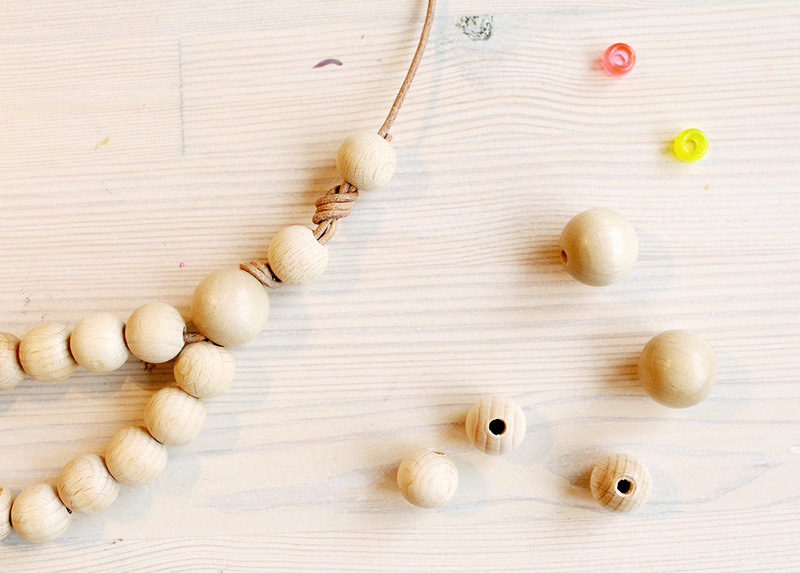 Bringing the big box with assorted beads on the table always ends up with different creations. 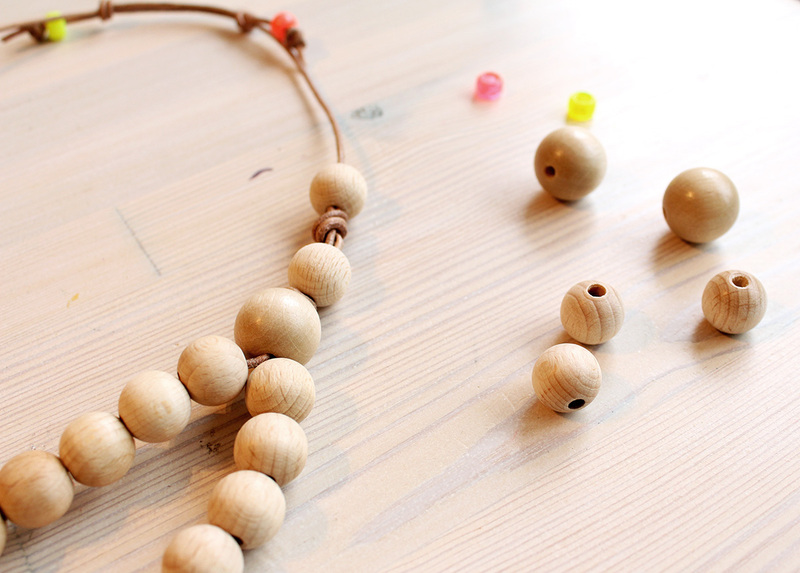 Mine get finished slowly while the kids make long colorful necklaces a dozen in the same time. With this one I was quite happy in the end. I think it would be something I loved if it was in a beautiful shop. 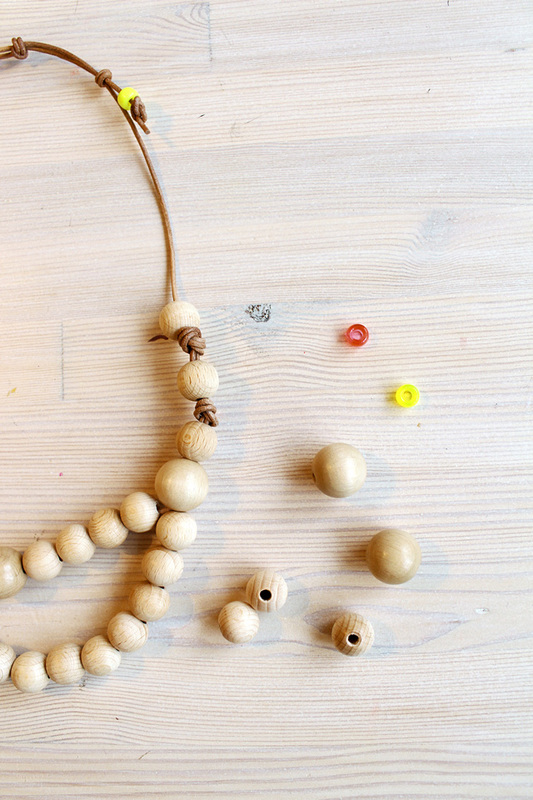 Leather cord takes some work with the nots. 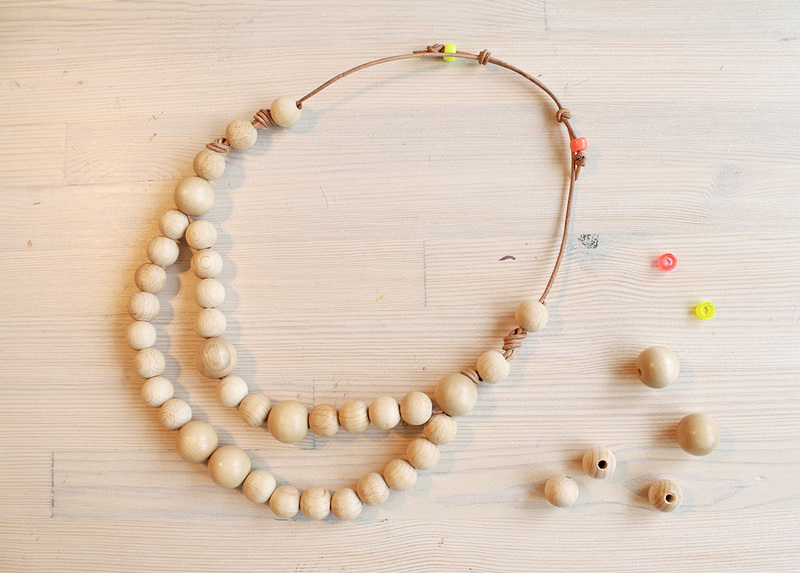 Length of the necklace can be adjusted when making knots you can pull on the back. Visit animtaedknots.com if you need help with knots.